I've been having so much fun participating in My Scrapbook Nook's Card Sharks contest. Here are the cards I made for this week's challenges. This first one uses Webster's Western Romance and Wonderfall papers. I thought it was perfect for today. The challenge was to incorporate nature and woodgrain. I used some Crate Random paper (aqua) that has a woodgrain pattern on it and the bouquet is the nature part. I wanted some die cut leaves, so I broke out my Cricut and cut them. It's been ages since I used it and I'm so glad I did! I'll be using it more often for sure. 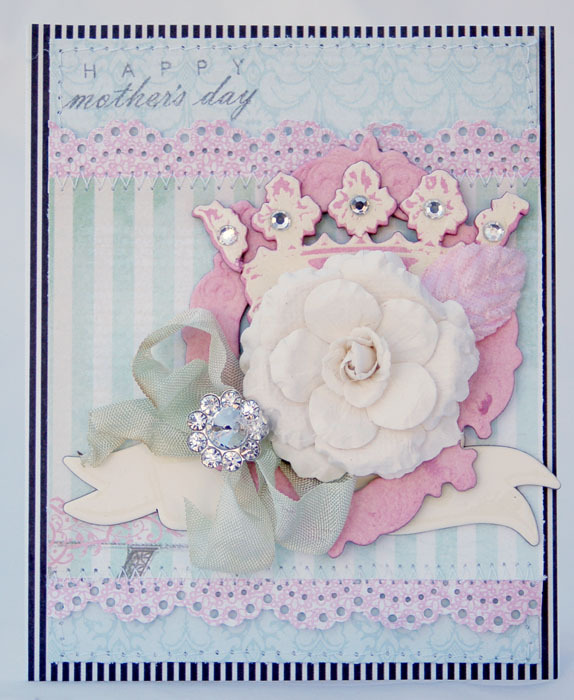 I added a berry bouquet, a flower whimsy and a Papertrey stamp. The next challenge was to use a Bingo card or grid pattern. I decided to make a grid of my own. I used Crate Peppermint on here. 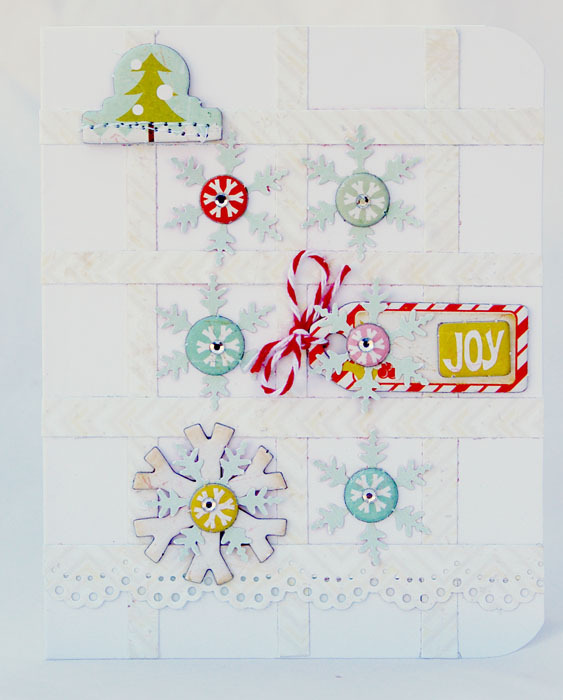 I punched the snowflakes and added lots of little bits and baubles of chipboard. Finally, my third card is for the 'Royalty Challenge'. We had to use a crown in our design. 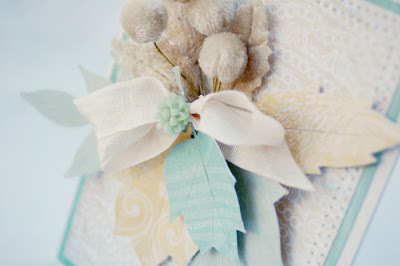 I used My My Mind's Eye papers, Tattered Angels chipboard, Prima flower and Melissa Frances brooch gem. I love the colors in this line! Thanks so much for stopping by! I'm truly thankful for your visits and comments. Have a blessed Thanksgiving!! 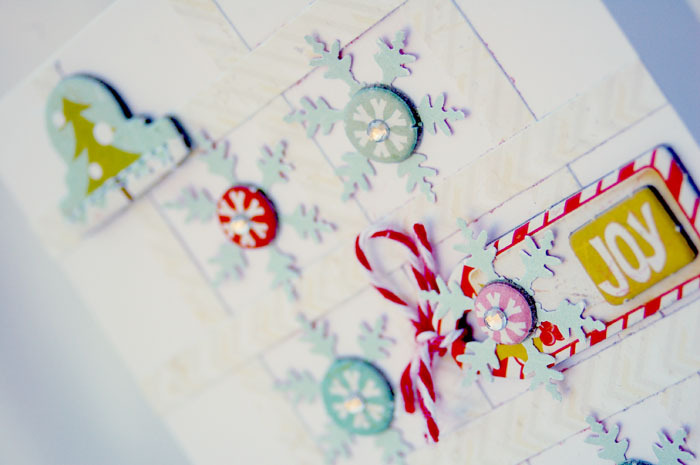 Fabulous cards each and every one! 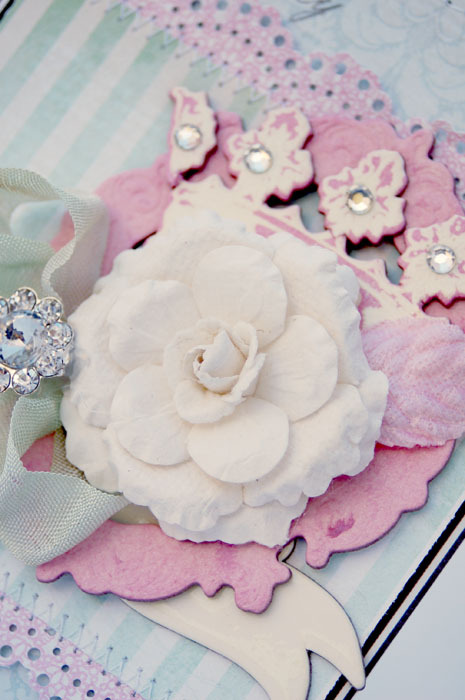 Love the color combinations and embellishments. Have a wonderful day today! Hugs!! 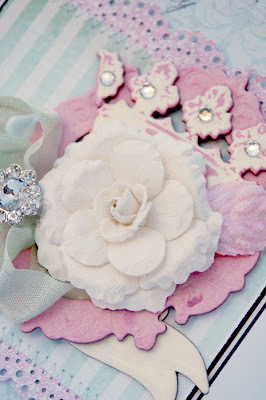 My oh my...you got me speechless, these cards are all so gorgeous! I really love the grid pattern and the glittery snowflakes. 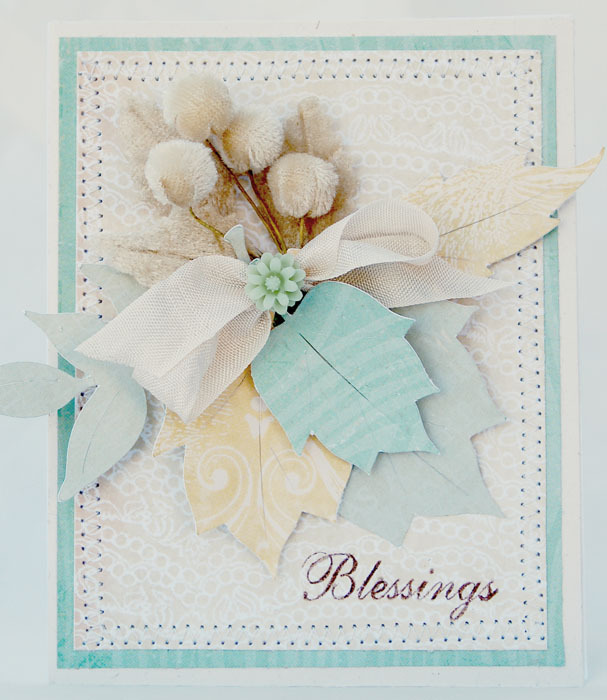 The floral bouquet on your first card is such a nice detail too. And your third card is another beauty! The bling accent looks perfect on it. Happy Thanksgiving! 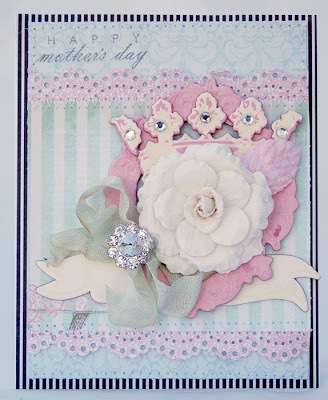 Absolutely gorgeous cards ... love those soft hues. Hope you had a wonderful Thanksgiving! Your work as always is just GORGEOUS! Hope you had a wonderful Thanksgiving, Anabelle! Beautiful cards! Always LOVE your projects! This is just gorgeous. Your work is stunning!